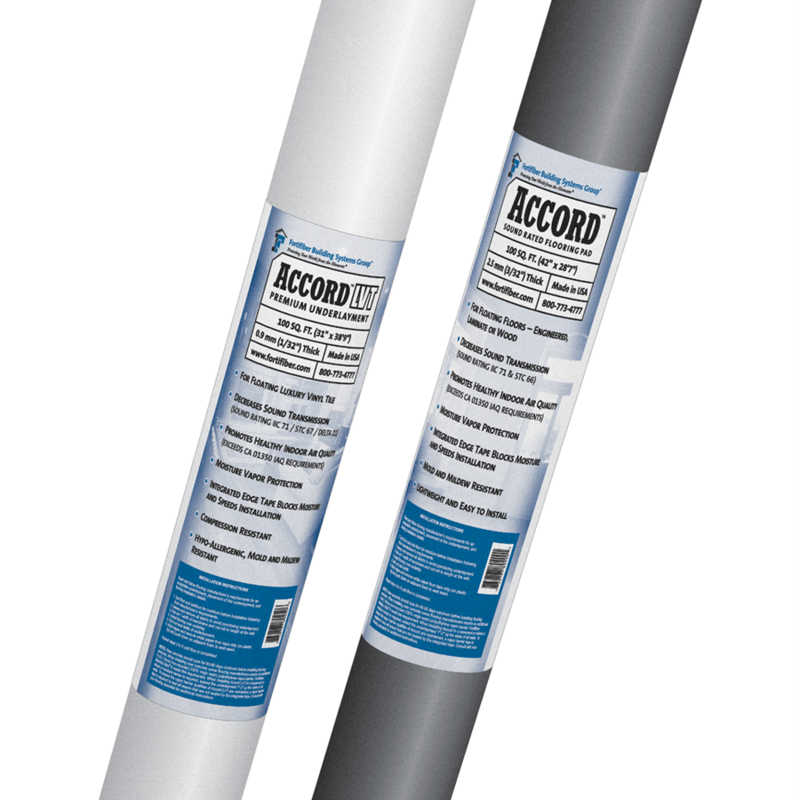 Accord LVT is a superior underlayment and acoustic barrier for vinyl flooring. With no volatile organic compounds, Accord LVT is hypo-allergenic and exceeds CA 01350 indoor air quality requirements. With one of the highest sound transmission ratings in the industry, Accord LVT utilizes a compression-resistant foam technology for comfort underfoot. The livability and durability of luxury vinyl tile flooring is often only as good as the materials underneath it. 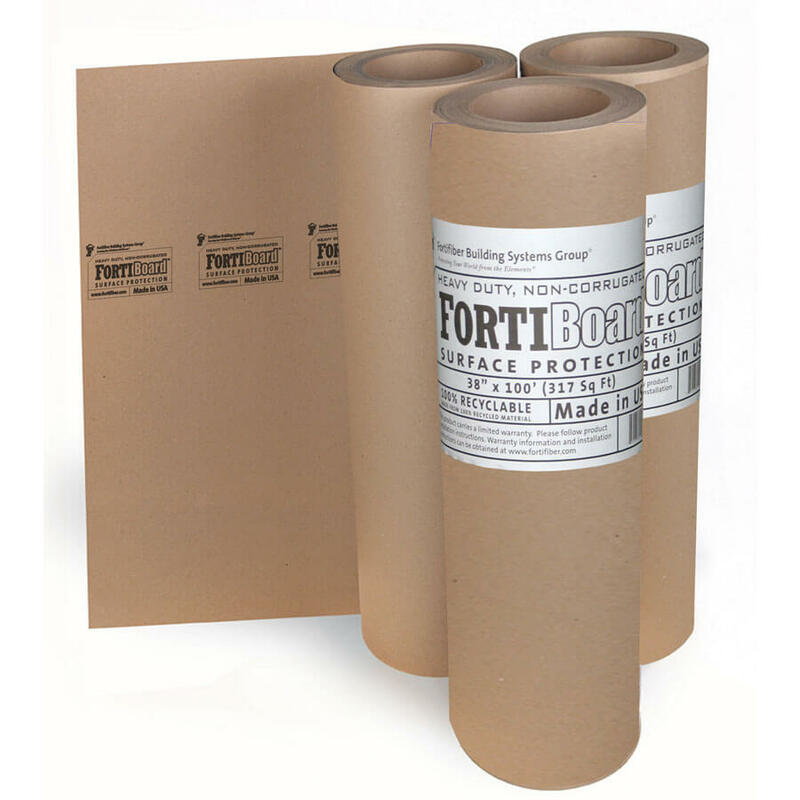 Accord LVT Sound Rated Flooring Pad from Fortifiber Building Systems Group® provides both sound resistance and moisture protection for worry-free installation. Accord LVT is a flooring underlayment pad that is comfortable and warm under foot. Designed to be used over sub-floors, and under luxury vinyl tile, it quiets the sounds of everyday use with an Impact Isolation Class of 71, a Sound Transmission Class of 67 and a Delta Rating of 21. Accord LVT is easy to install, with an integrated seam seal tape. 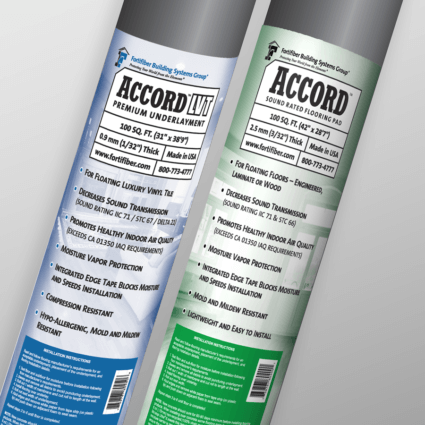 Accord LVT is also a Class I moisture vapor barrier over concrete with a perm rating .03. 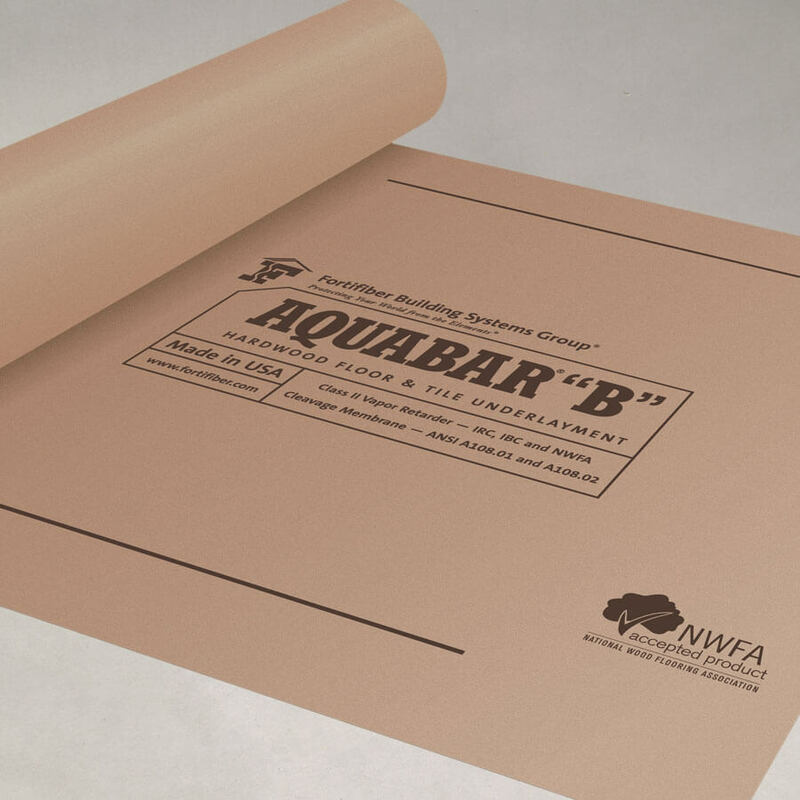 It does not require an extra polyethylene barrier. It has been tested for indoor air quality and has no detectable VOCs. © 2019 Fortifiber Building Systems Group Inc. All Rights Reserved.